Does it contain a header? Convert SPSS variables with value labels into R factors with those levels? (*) Select a dyadic data set (see Extra Info ) (**) Select either a .csv, .txt, .sav or a .xpt file to be uploaded. To read in data from inside R into the shiny interface, it is easiest to save your dataset using write.csv with the default settings. If reading your SPSS file does not work, causes for errors may be (1) special characters in file names and/or path names or (2) data files exceeding 70 variables. Do you want to include covariates? For text output, please provide the label of ..
(*) Based on what can dyad members be distinguished (e.g., gender)? Do you want to center the predictor(s) on the mean? Do you want to center the covariates, if present? How do you want to treat missing data? Do you want to run a model correcting for unreliability? (**) If no bootstrap trials are allowed, no conclusion can be drawn which model suits this dataset the best (actor-only, couple or contrast model). Note: When you requested regular bootstrap, it may take a few minutes before the output appears. After running your analysis you can download the complete output to your own computer. Due to settings of your webbrowser it is possible an error 500 appears in a new window. Nonetheless, the document is still downloaded. With Internet Explorer or Google Chrome, for example, you can open it by clicking on 'open' at the bottom of this new page. CAUTION: If you decide to use information from this app in a paper/manuscript, please make sure that you acknowledge that you have used this program by citing it. Also, should you decide to copy exact text, you will need to put quotes around that material to avoid plagiarism. The two figures presented below reflect all variables included in the model, also all covariates. If not all estimates are presented clearly, please try to diminish (or enlarge) the size of your browser. The figure will automatically adapt. The plots below show the basic APIM. Covariates and other requested parameters are estimated, but for simplicity only the estimates of the actor and partner effects are presented, together with the residual nonindependence in the outcome scores. In particular, the estimates, standard error and level of significance are shown. If two independent variables are taken into account the results for both are shown in separate figures. Please note this is done to facilitate the interpretation, but both predictors are indeed included in the same model at the same time. The two plots below are identical to the ones above, but only show the basic APIM. Covariates and other requested parameters are still estimated, but for simplicity only the estimates of the actor and partner effects are presented, together with the residual nonindependence in the outcome scores. In particular, the estimates, standard error and level of significance are shown. The plots presented below are based on the fitted model. Thus, they take into account all estimated parameters. The plot presented below is based on the fitted model. Thus, they take into account all estimated parameters. In order to check the normality of the residuals, one can consult the following three plots. - The density function of the residuals ideally looks bell-shaped. - The boxplot should look symmetric around zero with limited number of outliers (or none at all). - For the QQ-Plot, the dots should be situated on or close to the straight line. The following plots are an exploration of actor (partner) effects, ignoring partner (actor) effects and the effects of plausible covariates. It is important to know that these bivariate plots are strictly meant for data exploration because they do not represent pure actor (partner) effects from the APIM. Indeed, in the first plot the effect of one's own outcome on one's own predictor is not adjusted for the effect of the predictor of the partner, and hence does not strictly reflect the actor effect of the APIM. We therefore refer to these effects as 'semi-actor effects'. Similarly, the second plot rather shows the 'semi-partner effects'. To assess whether it is reasonable to assume linear effects of the independent variable on the outcome a smoother (i.e., a non-parametric best fitting curve) is added to the plots as a dotted line. When one is interested in the estimated actor and partner effects of the fitted model, please consult the tab Figures . In the background, lavaan (i.e., an R-package for analyzing latent variables; Rosseel, 2012) is used. It is advised to save this lavaan script as a record of the analysis performed by the APIM_SEM app. This script allows to easily replicate the analysis afterwards, gives other researchers insight in your analysis and increases transparency. The lavaan syntax can be directly copy-pasted into R for specifying a lavaan model. A step-by-step tutorial for first time R/lavaan users can be found in the tab Extra Info . The Actor Partner Interdependence Model (APIM; Kashy & Kenny, 2000) is one of the most prominent models for analyzing dyadic data. Although dyadic research has become immensely popular, its statistical complexity might be a barrier for some researchers. To remedy this, a free user-friendly web application, called APIM_SEM, has been developed. This app automatically performs the statistical analyses (i.e., structural equation modeling) of both simple and more complex APIMs. The app can be used for both indistinguishable dyads (e.g., friends) and distinguishable dyads (e.g., heterosexual couples). You can select if dyad members are assumed to be distinguisable or indistinguishable in the input tab Variables . This program allows to examine dyadic patterns, to estimate actor and partner effects of one or two predictors, and to control for covariates. Results are provided in both R output (i.e., lavaan by Rosseel, 2012) and text format, complemented by summary tables and figures. As an illustration, an example data set is included. This is data on 238 American couples of a longitudinal study of Acitelli and colleagues (Acitelli, 1997; Acitelli, Veroff, & Douvan, 2013). The APIM_SEM app is part of a bigger project called DyadR (Kenny, 2016). DyadR is a cluster of web applications that have recently been developed to aid researchers in using and understanding both simple and more complex APIM analyses (e.g., APIM with a mediating effect). More documentation on the Actor Partner Interdependence Model can be found in Chapter 7 in the Dyadic Data Analysis book (Kenny, Kashy, & Cook, 2006). Also the webinar on the APIM of David A. Kenny might be helpful. In the background, lavaan (i.e., an R-package for analyzing latent variables; Rosseel, 2012) is used. It is advised to save the lavaan script as a record of the analysis that were performed by the app. This script allows to easily replicate the analysis afterwards, gives other researchers insight in your analysis and increases transparency. The lavaan script can be found in the output tab Lavaan Syntax. A step by step tutorial of lavaan can be found here. This tutorial is suitable for users who have never used R and/or lavaan. The code of the output tab Lavaan Syntax can be directly copy-pasted in R to specify the lavaan model. As a teaching material for structural equation modeling the book of Kline (2016) can be advised. If you decide to use information from this app in a paper/manuscript, please make sure that you acknowledge that you have used this program by citing it correctly. Also, should you decide to copy exact text, you would need to put quotes around that material to avoid plagiarism. Stas, L, Kenny, D. A., Mayer, A., & Loeys, T. (In press). Giving Dyadic Data Analysis Away: A User-Friendly App for Actor-Partner Interdependence Models. Personal Relationships. The APIM_SEM app uses color coding to easily explain all its features. At the top, the program is divided in three main pages, indicated with a yellow color. 'The Fitting the Actor Partner Interdependence Model' page is used to fit a model and view its output. Here, relevant information of the model can be specified in the vertical input tabs: Blue tabs are mandatory (Select Data and Variables), black tabs are optional (Additional and Download Output). The model is fitted by hitting the 'Run Analysis!' button once. After that, the program is reactive and so the output will automatically change if the input is modified. The output is displayed in the green horizontal tabs. Your data set should be a dyadic data set, i.e. you should have one row for every dyad or couple. In case of indistinguishable members the distinction between two independent (dependent) variables will be arbitrary. For more info on this type of data, the webinar of prof. David A. Kenny might be helpful. 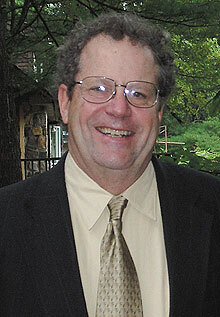 Prof. David A. Kenny also developed some Data Restructering Macros in order to easily transform your data. Of course you can also restructure your data yourself. Note that, for the moment, only continuous and binary between-dyad covariates are accepted as covariates. Only when a label of a distinguishable variable is provided, the observations will be treated as distinguishable members. Note that it is requested to fill in a label, and not an actual variable of the dataset. The specified significance level will be used for the lavaan output (e.g., confidence intervals) and the text output (e.g., assess if effect is significant). Different options for the estimation of k (i.e., ratio actor and partner effects of the same person; Kenny & Ledermann, 2010) are presented. By allowing the program to calculate the confidence interval of k by means of bootstrap sampling, dyadic patterns in the Actor-Partner Interdependence Model can be detected. In particular, the program can check whether the couple model (k = 1), actor-only (k = 0) model or the contrast model (k = -1) is most plausible. This by checking which value of k (-1, 0 1) situates in the bootstrapped confidence interval of k. Allowing bootstrap samples can be achieved by specifying so in the input tab 'Additional Options'. Please note that the monte carlo sampling technique will be very fast, this is the parametric bootstrapping method. The non-parametric bootstrapping method (i.e., regular bootstrap), may take a while to calculate. As an illustrating example the couple data gathered by Acitelli and colleagues (1997) is used. In this longitudinal study, data were collected in two waves (wave 1: March 1993 through January 1994; wave 2: 1.5 to 2 years later). The sample consists of 148 married and 90 dating American couples. The example data set of APIM_SEM is called Acitelli. This dataset contains a selected number of variables from the study of Acitelli from the first wave. For more information about the original dataset of Acitelli and colleagues please click here . More information about the specific variables included in this app can be found in the paper of Stas, Kenny, Mayer and Loeys (In press). Kashy, D. A., & Kenny, D. A. (2000). The analysis of data from dyads and groups. In H. T. Reis & C. M. Judd (Eds. ), Handbook of research methods in social psychology (pp. 451-477). New York: Cambridge University Press. Kenny, D. A., Kashy, D. A., & Cook, W. L. (2006). 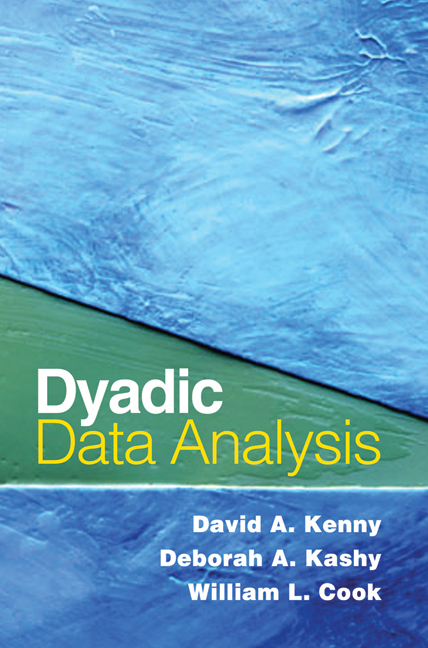 Dyadic data analysis . New York, NY: Guilford Press. Kenny, D. A., & Ledermann, T. (2010). Detecting, measuring, and testing dyadic patterns in the actor-partner interdependence model. Journal of family psychology, 25 (3), 359-366. 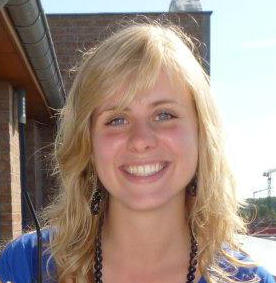 Lara Stas studied psychology at Ghent University (Belgium). She is now a PhD student at the department of Data Analysis at the faculty of psychology. Together with Prof. David A. Kenny she wrote the APIM_SEM app. This app is part of a cluster of free user-friendly web applications for dyadic data analysis, together called DyadR (Kenny, 2016).